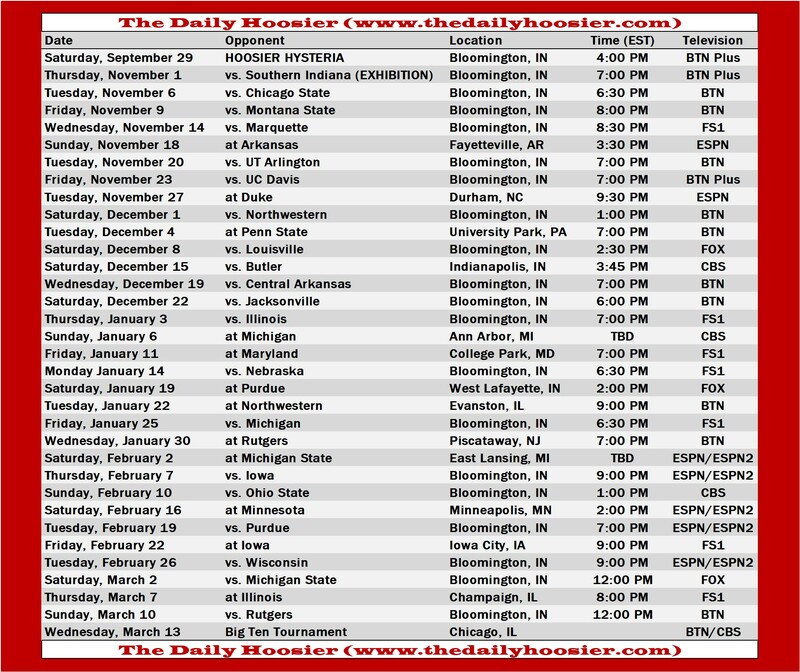 Below is the complete 2018-19 Indiana University basketball schedule with television and tip-time information. Click on the score of each game for the final box score. To buy tickets for any game, please consider using our affiliate links with Seat Geek below. There is no additional cost to you and your purchase will support The Daily Hoosier. To review the 2017-18 schedule, click here.